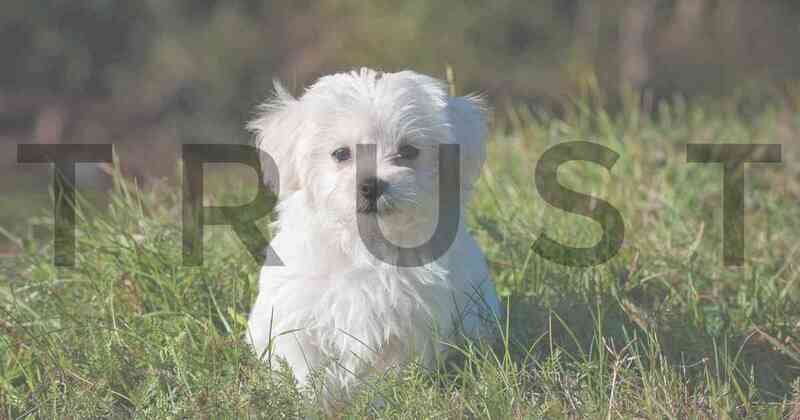 Does your puppy need vaccination? Don’t feel silly if you’re confused about all the conflicting advice. There are a lot of different protocols and it’s just got more complicated! What Is The Best Way To Vaccinate A Puppy? Here is how we give puppy vaccinations, based on the latest evidence-based immunisation recommendations. Up to now that’s been using early finish vaccines that allow your puppy to go socialising and walking from 11 weeks of age. 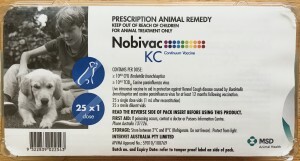 The Nobivac product insert with its usage instructions is shown here. We find that puppies only allowed these options are more likely to have fears or anxieties and be less comfortable in all situations. Therefore, up to now we’ve been very happy with our protocol. The World Small Animal Veterinary Association (WSAVA) have just released their Updated Global Vaccination Guidelines. We don’t want to deprive puppies of essential socialisation. We don’t want to take risks. No change. 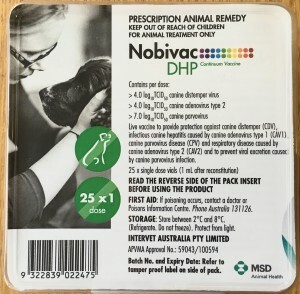 This is given to all puppies at 6 to 8 weeks of age. Dogs from reputable breeders will have already had this. If not, come to us straight away. No change. This is given as soon as possible from 10 weeks of age. These vaccines are proven from testing to provide protection for 12 months when given at or after 10 weeks of age. Therefore, until recently, this is where we stopped. New. 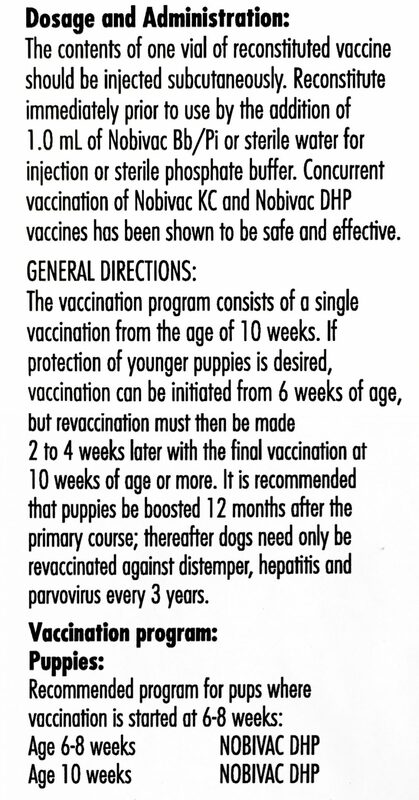 The WSAVA guidelines have convinced us to add a safety net vaccine at 16 weeks. 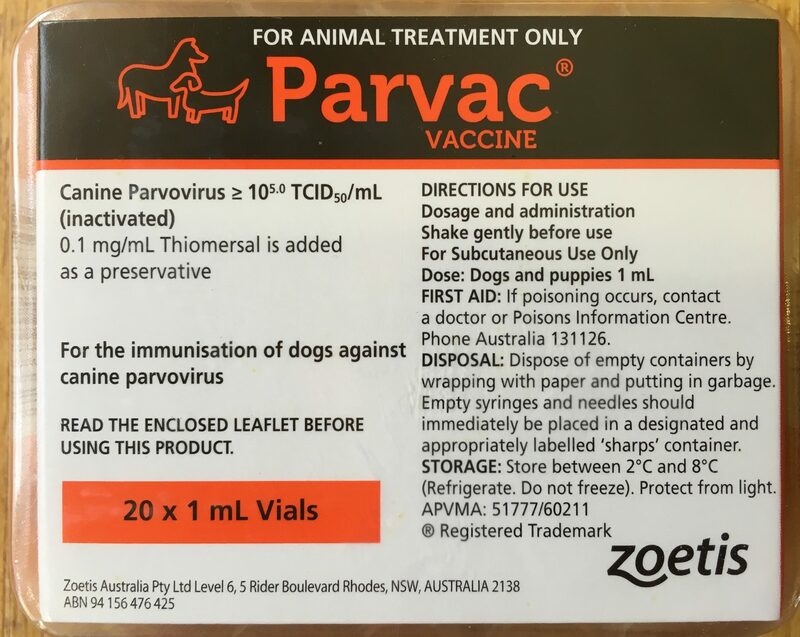 We’ve chosen to use the monovalent parvovirus vaccine pictured to minimise the number of unnecessary components. 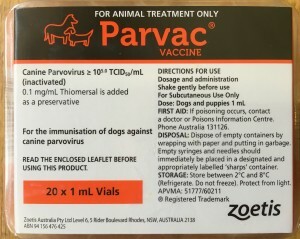 Using the 10 week finish vaccine according to its registered claim is enough to be very confident. 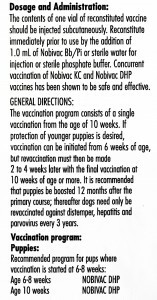 We still recommend you start walking your puppy one week after the 10 week vaccine is given. 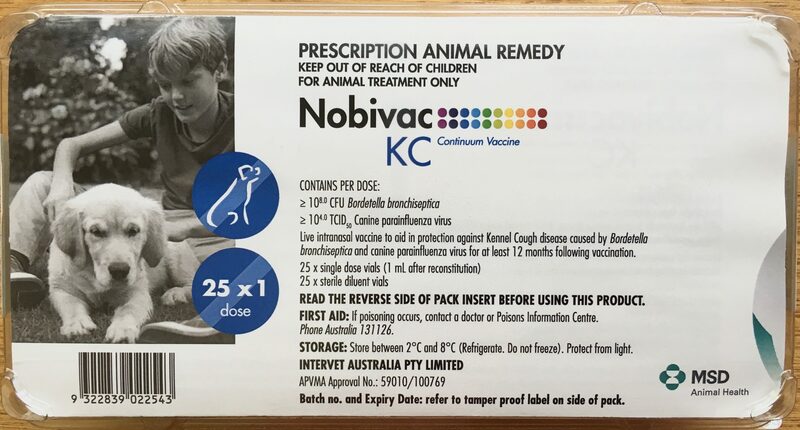 After all, that’s how the Nobivac vaccine was developed and tested, and it’s been providing this protection for over ten years. 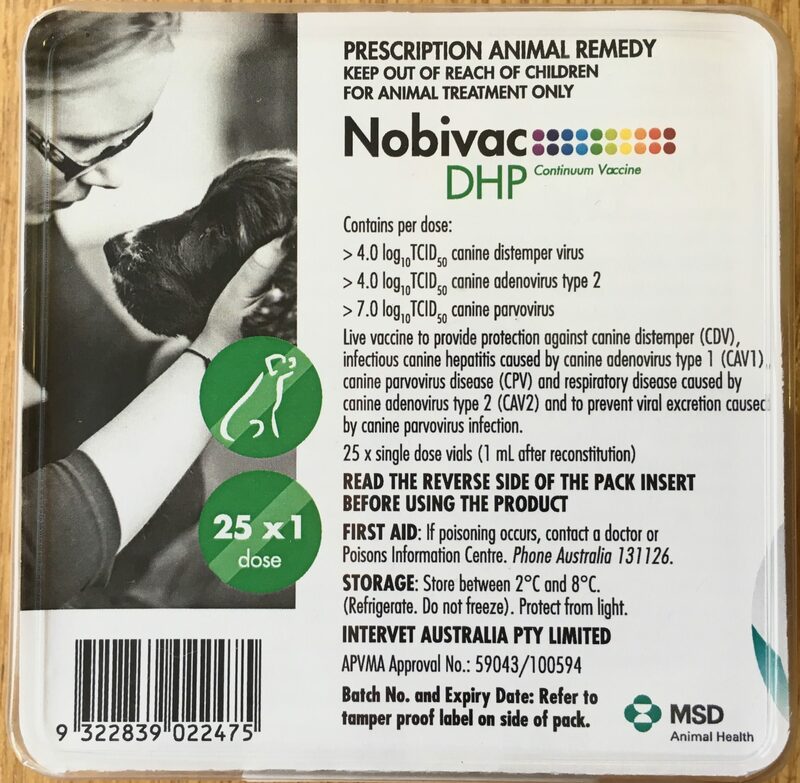 We’ve added a small charge ($30 at 2019 prices) to our Puppy Vaccination Package to cover this third vaccine. Do puppies really need it? The vast majority won’t. Therefore you are welcome to choose to not have it and ask for it to be discounted from the package price. 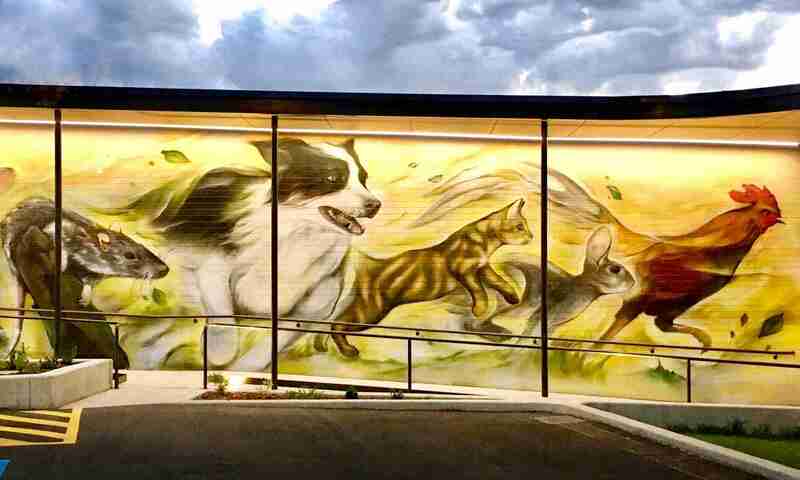 Puppy vaccination is vital in Adelaide, so if you have any other questions please ask!